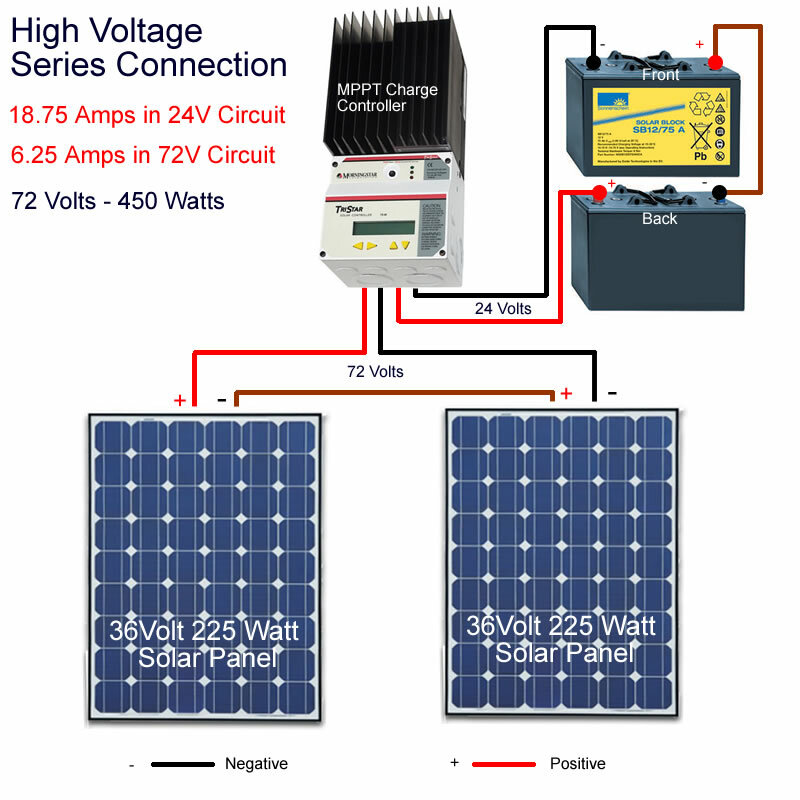 The diagram shows 2 high voltage solar panels wired up in series using an MPPT Charge controller. 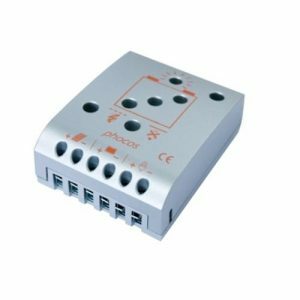 This type of charge controller has the ability to convert the high voltage output solar panels into a lower voltage to charge the batteries. There are two different current calculations for this solar power system. The first is for the high voltage solar panel side and the second for the lower voltage battery charging side. To calculate the power rating of the MPPT Charge controller we need to calculate the current flowing in the second, battery charging, circuit and not the primary solar panel circuit. Current is always Power (Watts) divided by voltage (Volts) so in this example solar power system it’s 450 / 24 = 18.75 Amps. The Tristar MPPT 45 shown here will be fine for this purpose as it is a 45Amp solar charge controller. Having a high voltage in the solar panel circuit is an advantage if longer, smaller diameter cable runs are required. Solar cable is expensive so if we can use smaller sizes we can save some money, plus the voltage drop over the cable length at the higher voltage is less. Less voltage drop can mean a more efficient system. 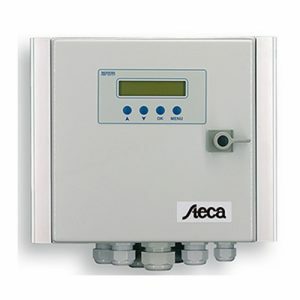 However, some of the gained efficiency can be lost in the more complex circuitry of an MPPT charge controller. Swings and roundabouts!